If you find that your betta is gasping at the bottom or surface of the tank, pale in color, has a limp tail fin, unresponsive eyes and with their gills fanning visibly then they may be in critical condition. There are a few things you can do to increase their chances of survival. Preventing inhospitable conditions that can lead to the death of betta fish requires you to keep their environmental conditions stable and favorable for their overall health , you can do this in a combination of 4 ways. 4. Take note of any recent or out of routine changes made to the betta’s tank conditions. Sometimes something as simple as a new decoration can cause illness if it turns out to not be fish safe and leech chemicals into the water. Check that the ammonia and nitrate levels in your tanks water via a test kit. Safe water parameters are 0ppm ammonia and less than 30ppm nitrate, if levels are above this then your betta will be suffering ammonia/nitrate poisoning and you’ll need to do a 50% water change asap. If levels are 20-30ppm above safe levels then you need to immediately relocate your Betta to an entirely quarantine/hospital tank. Acclimation isn’t necessary in this instance because the shock and danger of their own lethal tank water far outweighs the stress of acclimating to new water conditions. 2. Conserve the fish’s energy by lowering the flow of your filter via either obstructing the output (aiming it at the glass/an object) or using a sponge filter instead. 3. Using an air stone can help oxygenate the water to allow your betta to breathe through its gills more easily. 4. Make sure you have a lid that allows for some ventilation. 5. Putting dried Catapa/Indian Almond Leaves in the tank or soaking them in the quarantine water can boost the fish’s immunity, increases appetite, releases tannin’s which gives the fish a sense of security, has antibacterial properties and is completely natural. See the following article on how to set up a quarantine tank for your betta fish. It’s important to take all factors into consideration before deciding to medicate as illness can occur for reasons other than just viral diseases (such as genetic or heritable illness, behavioral issues such as fin biting, old age and tank conditions). Bettas also tend to hide their symptoms until they are severely ill or critical, when in a critical state medicating can potentially weaken them further via causing them undue stress. So its a good fish keeping practice to quarantine and wait until the betta has stabilized (begun eating or stopped gasping for air) before beginning a medication regime that could potentially last weeks. For more information on how to medicate your betta fish see this article. 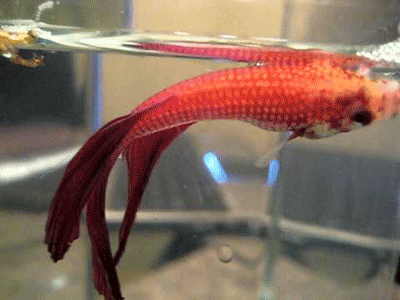 Also see the complete guide to betta fish disease and treatment for more information. Fish vet’s can treat all manner of aquatic pets on both a private and commercial basis, many also do house calls and perform tests on scene (scale scraping, in depth water testing for contaminants, mouth swabs and even ultrasounds) so as not to stress the fish out with a trip to a vet clinic. See the following article on how to move or travel with your betta fish if you need to take it to the vet. In closing, although prevention is the best measure to take when ensuring your fish survives to its fullest lifespan, if you do happen to have the misfortune of losing your beloved betta then you can give them a good send off. Here is more information on how to give your betta fish a proper send off. thank you so much ive used your advice and my fish looks so much better. Its probably getting old but it looks so much better than it did before! My betta needs help oh please reply my Betta is laying sideways and dying slowly help! I dont know what is wrong with my fish, but his fins are turning white, and he is swimming in a jerky way. if you have any ideas please tell me.